Tuesday night's vote could end up hurting northern towns, while wrecking the peace process in Northern Ireland. I hail from the Lancashire town of Bury, famous for its black puddings and for the Neville family. It also voted to leave the EU in the 2016 referendum. I remember campaigning on the 23rd June, where the main concerns amongst my neighbours who voted to Leave were stretched state of public services – particularly the NHS – and the powerful message of ‘Taking Back Control’. Three years on, it’s clear that those promises are a million miles away from what is being delivered on the doorsteps of Bury now. This government’s Brexit Deal, by any measure, makes this country poorer, restricts the recruitment of vital NHS staff, and in making the UK a ‘rule taker’ is the single greatest loss of control in our country’s history. People in Bury were rightly agitating for change. But they weren’t asking to put the Good Friday Agreement at risk to do so. That’s what the government’s plan yesterday does. 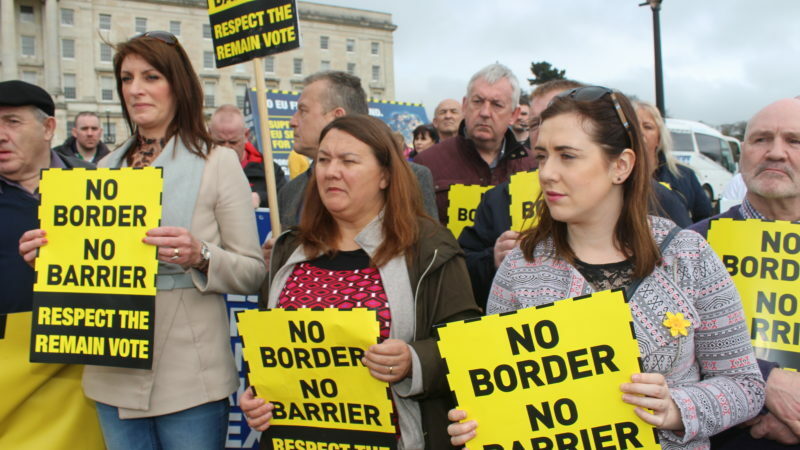 In seeking to end the backstop – the passed amendment seeks non-existent ‘alternative arrangements’ to a customs union instead – it removes the commitment to an open border that peace in Northern Ireland is predicated on. The people of Bury know all too well the cost of conflict in Northern Ireland. Many, including my family, were shopping in Manchester on 15th June 1996, when the city centre was bombed by the IRA. My great grandad, a World War 2 veteran, was in the Marks & Spencers in town when it happened. We can’t let anything that happen again. Greater Manchester MPs like Graham Brady should know better than to put peace at risk. And so should many Labour representatives. Peace in Northern Ireland was one of the greatest achievements of any government in history. And I’m proud that it was a Labour government, led by Mo Mowlam, who helped to secure it. It makes it all the more devastating that 14 Labour MPs chose to threaten this, hiding behind their Leave constituencies in voting against Yvette Cooper’s amendment (which could have given us more time) on Tuesday night. People in areas that voted to Leave don’t want to throw Northern Ireland under the bus so that Jacob Rees-Mogg and the European Research Group can get the Hard Brexit they so desperately crave. And people in Leave areas certainly didn’t vote to be poorer, which is why Labour MP’s must reject this awful deal. We need to challenge the inequalities that motivated the vote to Leave in the first place. And what some of our party’s MPs did yesterday made that possibility more difficult. The majority of voters (and Labour supporters) in every single one of the 267 constituencies represented by a Labour MP, support a People’s Vote, according to YouGov polling in November. Not only that – but the places where we’ve single the biggest swings from Leave to Remain – like the North East – are Labour strongholds. The MPs who voted for Brady’s amendment, or voted against Yvette Cooper’s, have just making a devastating Hard Brexit more likely. And it won’t be MPs – like Jacob Rees-Mogg or Boris Johnson – who have to bear the brunt of Brexit’s impact. It’ll be the very working class people they claim they represent. Rather than voting with Jeremy Corbyn, and the mandate set out at Labour Party conference by members, some Labour MPs voted to make their constituents poorer and our country less safe. That’ll become even clearer in two weeks time, when Theresa May will have to come back to Parliament, with little progress to update. At that point, I expect, like even more Labour members will be backing a People’s Vote on the Brexit deal. One thing is clear: the impact of a hard Brexit will be unacceptable to the people of Bury, and all those like us across the UK. Nathan Boroda is a Labour member and a supporter of ‘For our Future’s Sake’.